Wow, where do I start with this one! 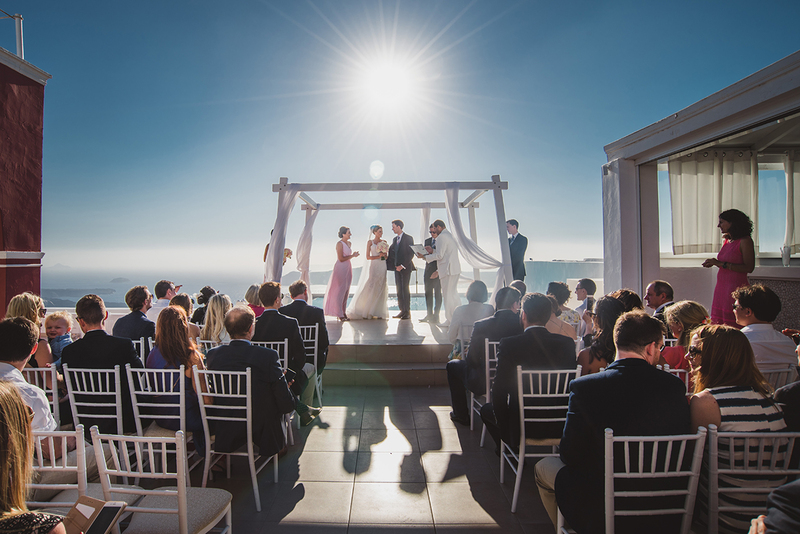 I love to travel and I love to photograph weddings. So, when I get the chance to combine the two, it’s fairly simple, ‘I’m in’ wherever in the world! 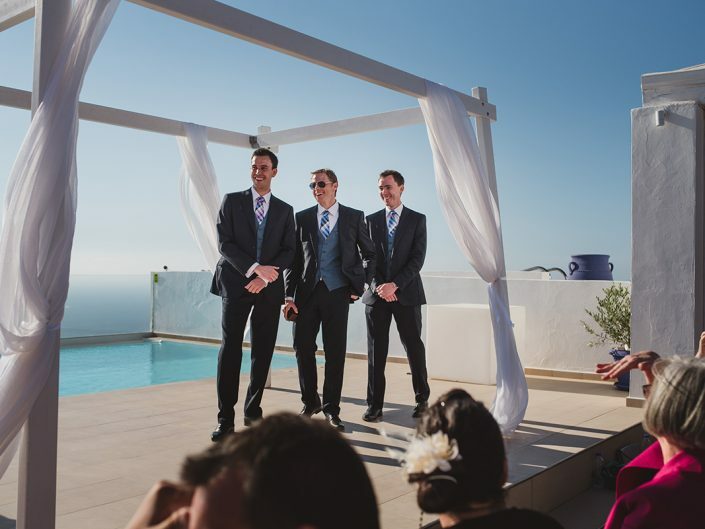 Alex and Jaclyn’s wedding took place on the beautiful Greek island of Santorini. This was a first visit to Santorini for me and I really hope it won’t be the last, this island is so picturesque I can’t begin to explain. I travelled out a few days ahead of the wedding to get my bearings and explore a little bit of the island for myself which was just incredible. If you ever get the chance to go to Santorini, simply drop your bags at your hotel and walk straight out to see the epic view of the Caldera! Wow. You will know what I mean. The day before the wedding Alex and Jaclyn invited me along to a boat cruise with all their wedding guests who had travelled over for the wedding. Alex is from the UK and Jaclyn from Australia so for many of their guests from each side this was the first meet. It was great also for me to get to know many of the A&J’s family and friends ahead of the big day. Alex, Jaclyn and all of their friends and family were so welcoming, I even spent the evening with some of Alex’ friends over dinner and drinks, a really awesome group! 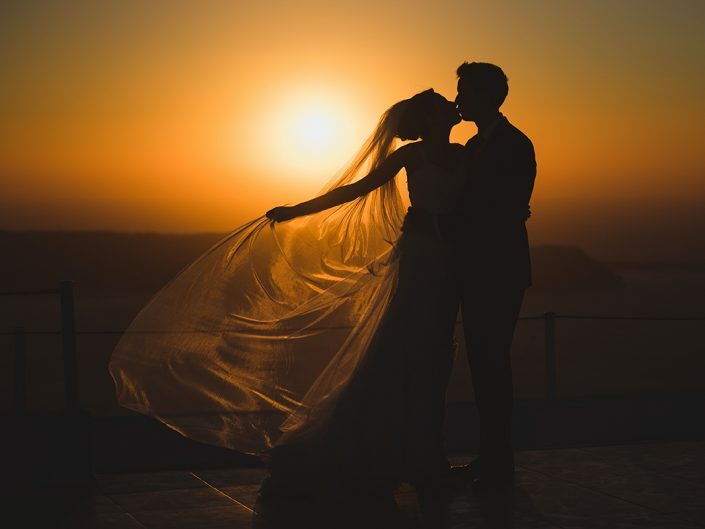 The wedding itself took place at La Maltese in Immervigli and it sits high up on the Caldera with an epic view out to sea. The ceremony and reception all took place here and it was simply stunning. 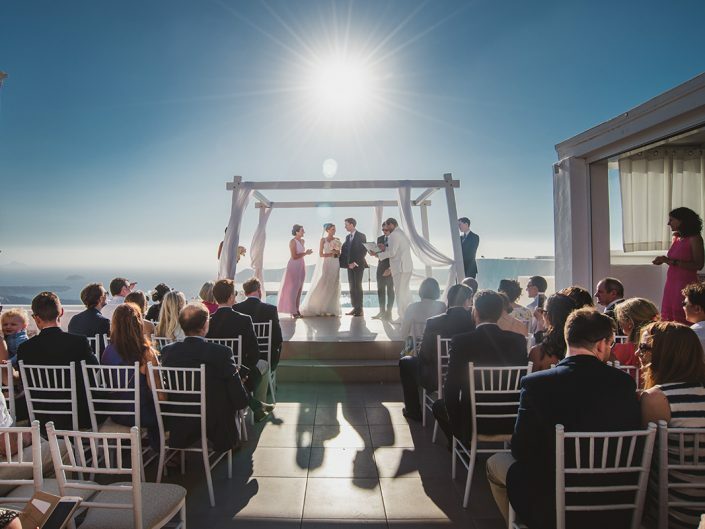 The ceremony time was scheduled later in the day so that everyone could enjoy the incredible sunset just before the wedding breakfast began. A&J were keen to get a few portraits at this time as well and boy did we have a choice of locations and backdrops. 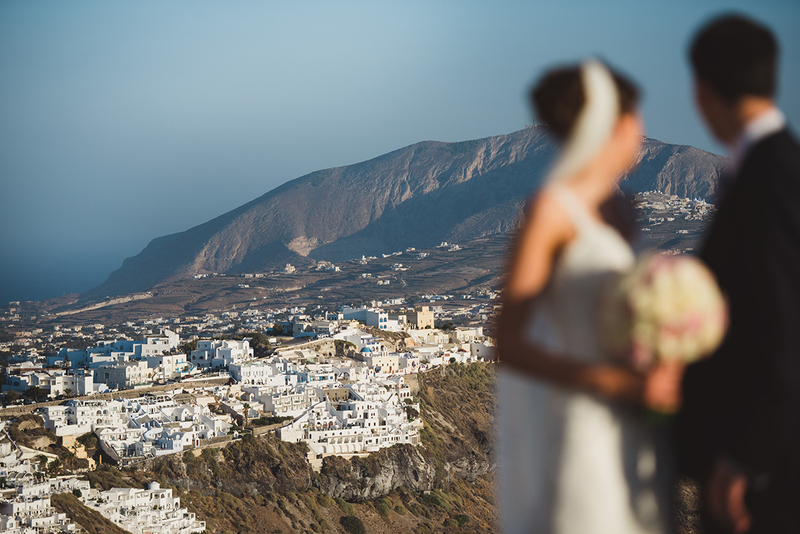 Santorini is a wedding photographers dream. Everywhere you point the camera there is something beautiful to photograph. 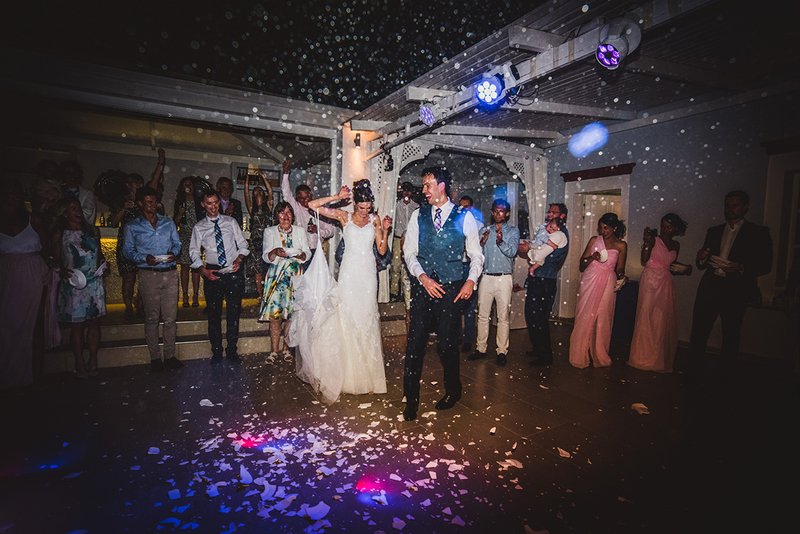 The evening entertainment was pretty epic with fireworks, Greek dancing, plate smashing and lots and lots of ouzo! I had an awesome time getting to know Alex and Jaclyn and all their family and friends and I feel incredibly privileged that they flew me to Santorini to photograph their wedding. 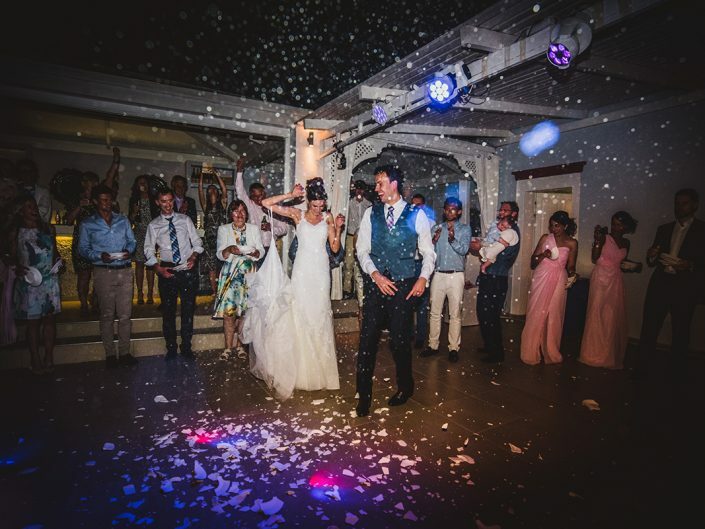 To be honest with you I am still pinching myself that this wedding actually happened! All the best guys and I hope to see you both in London soon! Alex was on holiday to Australia when we met at a bar in Sydney. We kept in touch I eventually ended up coming over to be with him in London. It happened on a surprise trip to Venice. Santorini was an island we fell in love with on a prior trip to Greece. 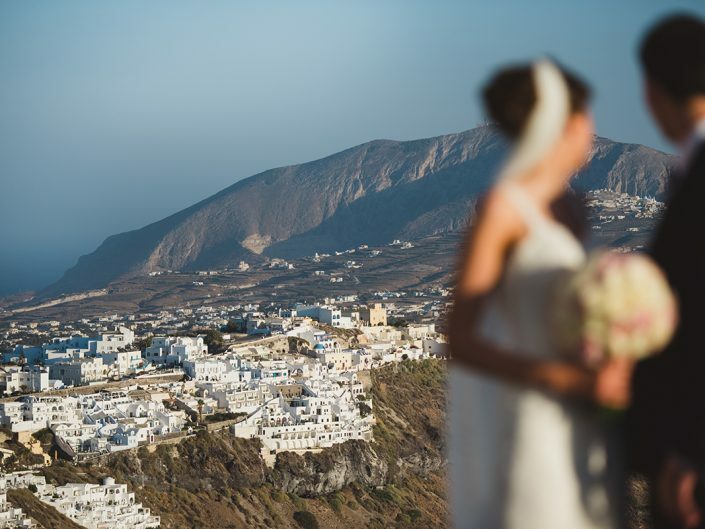 It was a gorgeous venue in Imerovigli overlooking the caldera. We had both the ceremony and reception there. Relaxed elegance. We were careful not to distract from the stunning scenery. 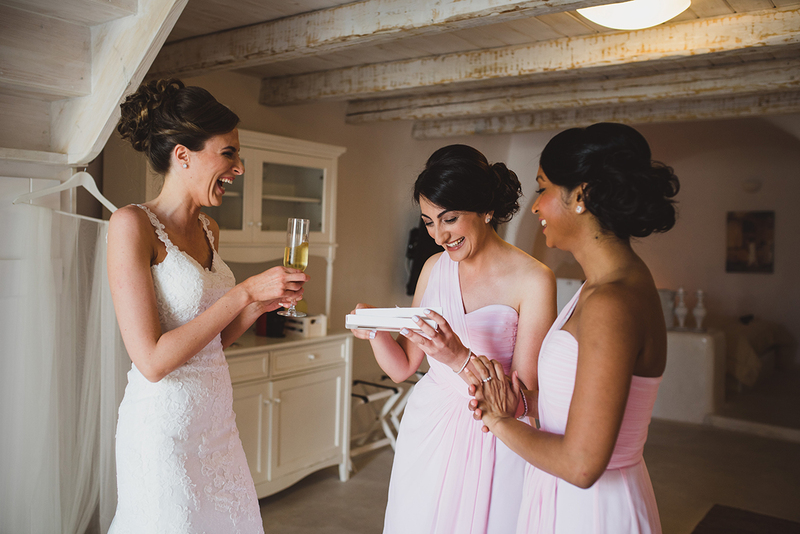 Jaclyn – seeing my husband and all the guests when walking down the aisle. Alex – partying with our nearest and dearest. We were impressed by Stewart’s portfolio and his ability to frame shots. He also has a great portfolio of landscapes, which we wanted to incorporate into our album with it being a destination wedding. His photos stood out from other potential photographers when we revised them on an anonymised basis. We ended up with a good mix of posed photographs as well as candid and natural shots from the dinner and reception. We love all of them and they bring us so much joy every time we look at them. We really didn’t notice Stewart was taking some of those candid shots so were very surprised by how much he captured! 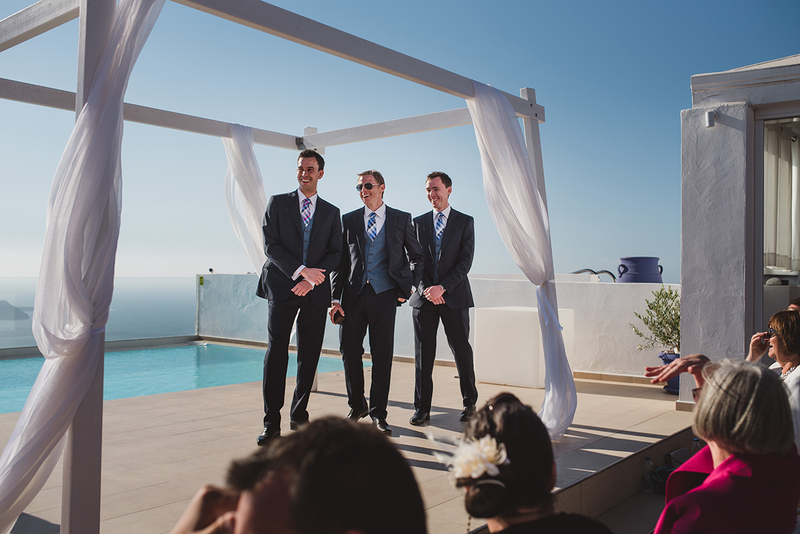 Stewart made the entire process- before, during and after the wedding enjoyable and easy. He was a pleasure to have at the wedding and extremely professional. Jaclyn – My hair piece broke apart from the comb when it was being put in. 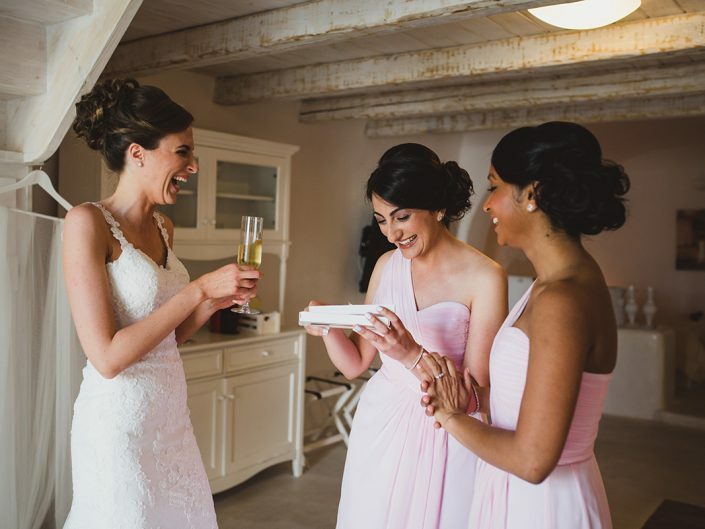 At that moment, I was trying to come to terms with the fact I was not going to have it in for the wedding, however my hair stylist and make-up artist didn’t let that happen and combined forces to save the day, re-attaching the clip to the comb with elastics. It stayed in place all night! 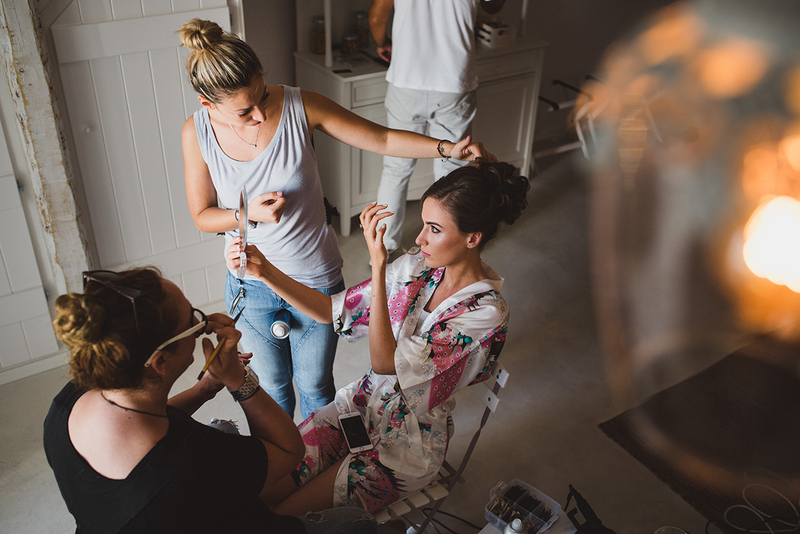 My make-up artist was a joy to have around while getting ready, calming nerves with her great sense of humor! 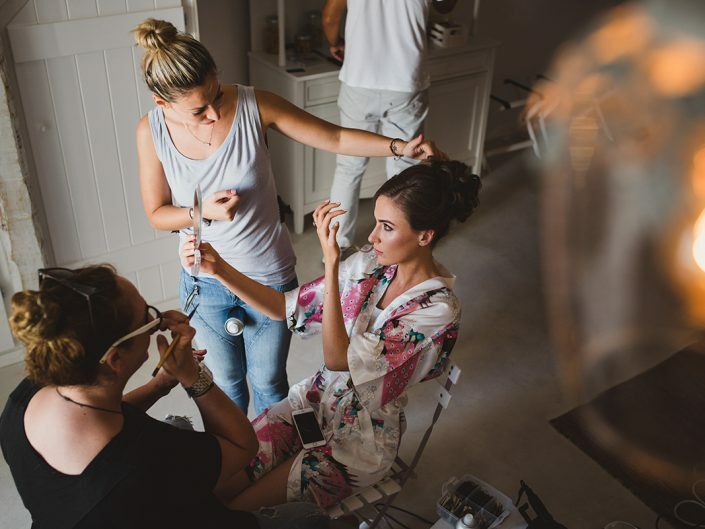 Alex – The team at the venue were amazing. They looked after us very well. Enjoy and savor every moment of it- it comes and goes so quickly!